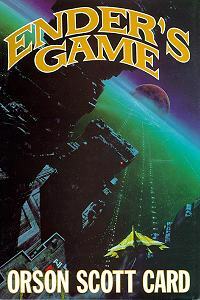 Interesting news for the Orson Scott Card fans who have been salivating for so long over the possibility – and various starts and stops – of an Ender’s Game movie. CLICK ON ME! I AM A LINK TO STUFF! Ender’s Game, based on the best-selling, award-winning novel by Orson Scott Card, is an epic adventure about a brilliant young strategist named Ender Wiggin who is drafted by the International Fleet to save the human race. Directed by Gavin Hood (Tsotsi, X-Men Origins: Wolverine) the film stars Asa Butterfield (Hugo), Harrison Ford, Ben Kingsley, Viola Davis, Abigail Breslin and Hailee Steinfeld.